Could these top commuter towns be ideal for BTL investment? New number-crunching has revealed the prime locations for London commuters based on things like property prices and travel time, which could help landlords pick a commuter belt investment property. Credit comparison site TotallyMoney.com has created a ranking of London’s top commuter hotspots for 2017, taking into account travel time to London, the cost of a season ticket, life satisfaction scores and property prices. This could be particularly interesting to buy-to-let investors, as the latest rental property index from LendInvest showed London commuter towns at the top of the table for the best buy-to-let areas in 2018, performing well in terms of rental yields and capital gains. 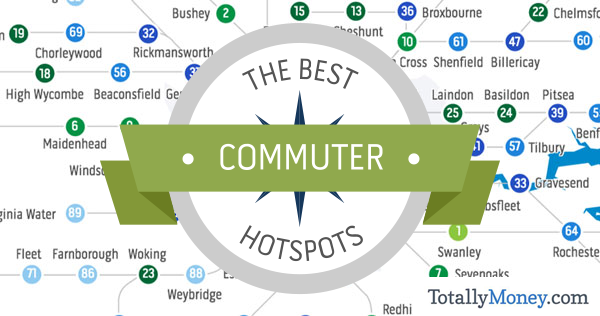 According to the TotallyMoney.com data, Swanley in Kent is the number one commuter location. The Kent town is less than 30 minutes by train from London, a season ticket costs £3,428 per year, it has a life satisfaction score of 8.15 out of 10, and the average house price is £353,854. Swanley is followed by Bushey in Hertfordshire, and nearby Watford comes in at third place. Watford also made it into LendInvest’s top five places for buy-to-let investment in 2017. Virginia Water in Surrey is placed last in the list, languishing at number 89. It takes more than 45 minutes to commute into London from Virginia Water, and average house prices are over £1.4 million. The number of 30-somethings leaving London has been rising in the last few years, as super-high London house prices drive people out of the capital. Interestingly, LendInvest’s latest data showed that central London is no longer such a hotspot for rental investment, with capital gains, rental yields and rental growth stronger in other parts of the country. And the TotallyMoney.com research shows that for City workers leaving London, there are plenty of options, with many surrounding towns offering quick commutes and relatively low house prices. Does the commuter belt offer good buy-to-let investment opportunities? The new data could make interesting reading for buy-to-let investors who are keen to snap up property in key commuter zones. Locations with quick connections to London and a good quality of life are likely to be popular with renters as well as buyers, and places that also boast affordable property could be particularly appealing in terms of rental yield. What do you think of this latest data? Tell us in the comments.